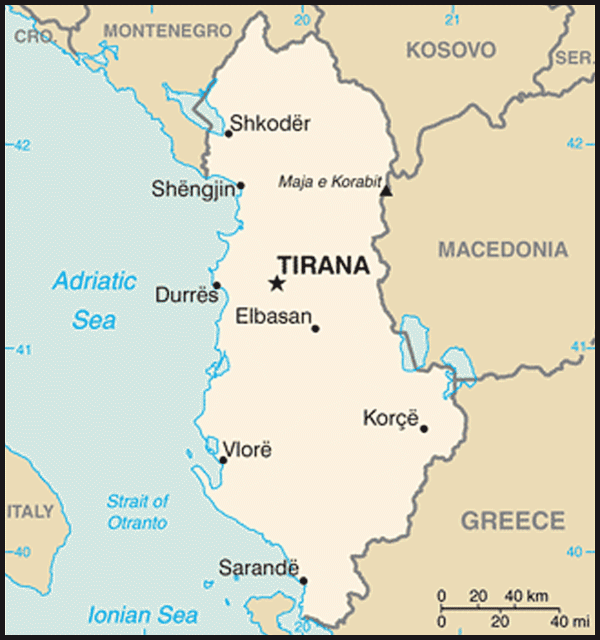 Major cities: Capital — Tirana (600,000; 2005 est.). Others — Durres (200,000; 2005 est. ), Shkoder (81,000; 2005 est. ), Vlore (72,000; 2005 est.). Climate: Mild, temperate; cool, wet winters; dry, hot summers. Population growth rate (2011 est. ): 0.267%. Ethnic groups (2004 est., Government of Albania): Albanian 98.6%, Greeks 1.17%, others 0.23% (Vlachs, Roma, Serbs, Montenegrins, Macedonians, Balkan Egyptians, and Bulgarians). Religions: Muslim (Sunni and Bektashi) 70%, Albanian Orthodox 20%, and Roman Catholic 10%. Health (2011 est. ): Life expectancy: males 74.82 years; females 80.3 years. Infant mortality rate — 14.61 deaths per 1,000 live births. Branches: Executive: President (chief of state), Prime Minister (head of government), Council of Ministers (cabinet). Legislative — 140-seat unicameral People's Assembly or Kuvendi Popullor elected by regional proportional vote; all members serve 4-year terms. Judicial — Constitutional Court, High Court, multiple district and appeals courts. Political parties: Main: Democratic Party of Albania (DP); Albanian Socialist Party (SP); Socialist Movement for Integration (LSI). Others — Albanian Republican Party (PR); Demo-Christian Party (PDK); Union for Human Rights Party (PBDNJ); New Democracy Party (PDR); Social Democratic Party (PSD); Social Democracy Party (PDS). Real GDP growth: 2.8% (2009 est., International Monetary Fund); 3.3% (2009 est., Ministry of Finance); 3.4% (2011 proj., International Monetary Fund); 4.1% (2011 proj., Ministry of Finance). Inflation rate (Albanian Institute of Statistics): 2.3% (2009 annual average); 2.8% (as of November 2010). Unemployment rate (Albanian Institute of Statistics): 13.75% (2009); 13.52% (as of September 2010). Albania shares a border with Greece to the south/southeast, Macedonia to the east, Kosovo to the northeast, and Montenegro to the northwest. Western Albania lies along the Adriatic and Ionian Sea coastlines. Albania's primary seaport is Durres, which handles 90% of its maritime cargo. Scholars believe the Albanian people are descended from a non-Slavic, non-Turkic group of tribes known as Illyrians, who arrived in the Balkans around 2000 BC. After falling under Roman authority in 165 BC, Albania was controlled nearly continuously by a succession of foreign powers until the mid-20th century, with only brief periods of self-rule. Following the split of the Roman Empire in 395, the Byzantine Empire established control over present-day Albania. In the 11th century, Byzantine Emperor Alexius I Comnenus made the first recorded reference to a distinct area of land known as Albania and to its people. The Ottoman Empire ruled Albania from 1385-1912. During this time, much of the population converted to the Islamic faith, and Albanians also emigrated to Italy, Greece, Egypt, and Turkey. Although its control was briefly disrupted during the 1443-78 revolt, led by Albania's national hero, Gjergj Kastrioti Skenderbeu, the Ottomans eventually reasserted their dominance. The League of Prizren (1878) promoted the idea of an Albanian nation-state and established the modern Albanian alphabet, updating a language that survived the hundreds of years of Ottoman rule despite being outlawed. By the early 20th century, the weakened Ottoman Empire was no longer able to suppress Albanian nationalism. Following the conclusion of the First Balkan War, Albanians issued the Vlore Proclamation of November 28, 1912, declaring independence and the Great Powers established Albania's borders in 1913. Albania's territorial integrity was confirmed at the Paris Peace Conference in 1919, after U.S. President Woodrow Wilson dismissed a plan by the European powers to divide Albania among its neighbors. During the Second World War, Albania was occupied first by Italy (1939-43) and then by Germany (1943-44). After the war, Communist Party leader Enver Hoxha, through a combination of ruthlessness and strategic alliances, managed to preserve Albania's territorial integrity during the next 40 years, but exacted a terrible price from the population, which was subjected to purges, shortages, repression of civil and political rights, a total ban on religious observance, and increased isolation. Albania adhered to a strict Stalinist philosophy, eventually withdrawing from the Warsaw Pact in 1968 and alienating its final remaining ally, China, in 1978. A UN Multinational Protection Force restored order, and an interim national reconciliation government oversaw the general elections of June 1997, which returned the Socialists and their allies to power at the national level. President Berisha resigned, and the Socialists elected Rexhep Meidani as President of the Republic. On July 24, 2002, Alfred Moisiu was sworn in as President of the Republic. A nonpartisan figure, he was elected as a consensus candidate of the ruling and opposition parties. The peaceful transfer of power from President Meidani to President Moisiu was the result of an agreement between the parties to engage each other within established parliamentary structures. This "truce" ushered in a new period of political stability in Albania, making possible significant progress in democratic and economic reforms, rule of law initiatives, and the development of Albania's relations with its neighbors and the United States. The "truce" between party leaders began to fray in summer 2003 and progress on economic and political reforms suffered noticeably due to political infighting. The municipal elections of 2003 and national elections of 2005 were an improvement over past years, adding to the consolidation of democracy despite the continued presence of administrative errors and inaccuracies in voter lists. In 2005, the Democratic Party and its allies returned to power, pledging to fight crime and corruption, decrease the size and scope of government, and promote economic growth. Their leader, Sali Berisha, was sworn in as Prime Minister on September 11, 2005. On July 20, 2007, President Bamir Topi was elected by Parliament for a 5-year mandate, succeeding Moisiu. On June 28, 2009, Albania held parliamentary elections. The Organization for Security and Cooperation in Europe (OSCE) Office for Democratic Institutions and Human Rights (ODIHR) described these elections as progress over past elections and found that the elections met most OSCE standards. However, ODIHR noted that they did not fully meet OSCE standards and observers noted problems, including misuse of national and municipal government resources by both sides for campaign purposes, shortcomings in electoral preparations for vote counting, and evidence of proxy voting, media bias, and pressure on public sector employees to participate in campaign events. The elections resulted in no single party gaining a majority of the 140 seats in Parliament, and the Movement for Socialist Integration (LSI) and the Democratic Party (DP) combined to form a coalition government, the first such in Albania's history. The opposition Socialist Party (SP) boycotted Parliament from September 2009 to February 2010, alleging electoral fraud. A series of international efforts aimed at resolving the stalemate have been unsuccessful. The Socialist Party continued a partial boycott of Parliament, voting on only a handful of laws in which the party had a specific interest, such as a December 2010 proposal to set up an investigative committee on the 2009 elections. (The measure was defeated.) This political deadlock has seriously hampered Albania's European Union (EU) aspirations. In November 2010, Albania was granted entry into the visa liberalization regime for the Schengen zone. However, at the same time the European Commission issued a negative opinion on Albania's application for EU candidate-country status and laid out a list of conditions still to be fulfilled. Domestic political tensions came to head in January 2011, leading to concerns within the international community of broader government instability. In mid-January, the revelation of a video purportedly showing LSI Chairman Ilir Meta orchestrating corrupt deals with then-Minister of Economy and Finance Dritan Prifti further fueled SP complaints about government corruption and calls for anti-government protest. The SP vowed protest action to "bring down" the government and employed rhetoric suggesting a willingness to use violence, drawing parallels with pro-democracy movements gripping northern Africa and the Middle East at that time. An SP-organized rally of party supporters on January 21 quickly turned violent, with protesters attacking police and setting fire to cars in the vicinity, and eventually storming the Presidential Palace compound. Police responded with water cannon and Republican Guard forces opened fire, killing two protestors at the time and fatally wounding two more. The Prosecutor General immediately opened an investigation into the incident and issued a subpoena for Republican Guard officers. The U.S. Government, its European partners, and the OSCE urgently called for a return to calm and for the Prosecutor General to conduct a thorough and evenhanded investigation into the events. As of August 2011 the investigation had made little headway. The May 2011 local elections drew intense international focus, as SP reluctance to fulfill pre-election preparations gave rise to fears it would boycott the election in favor of unspecified protest action. The elections took place as scheduled; the campaign was spirited and vigorously contested, with voter participation high for local elections. In a majority of the districts, voting and counting occurred technically well. However, the Central Election Commission's (CEC) decision in the Tirana mayoral race to count contested ballots reversed preliminary results showing three-time mayor and Socialist Party leader Edi Rama ahead by 10 votes in favor of ruling Democrat Party candidate Luzim Basha. The process undermined public confidence in the independence and impartiality of the CEC as an institution. Albania's unicameral People's Assembly (Kuvendi Popullor) consists of 140 seats; a regional proportional system determines representation. All members serve 4-year terms. The Speaker of Parliament (Jozefina Topalli) has two deputies, who along with eight permanent parliamentary commissions assist in the process of legislating Albanian affairs. The President is the head of state. The current President was elected by a three-fifths majority vote of all Assembly members. However, changes to the Constitution in 2008 mean the next President will need only a simple majority in the Parliament to be elected. The President serves a term of 5 years with the right to one re-election. Although the position is largely ceremonial, the Constitution gives the President authority to appoint and dismiss some high-ranking civil servants in the executive and judicial branches, and this authority can have political implications. The President is also commander in chief of the armed forces, and chairs the National Security Commission. The current President's term expires on July 23, 2012. The Prime Minister is appointed by the President and approved by a simple majority of all members of the Assembly. The Prime Minister serves as the Chairman of the Council of Ministers (cabinet), which consists of the Prime Minister, Deputy Prime Minister, and other ministers. Members of the Council of Ministers are nominated by the Prime Minister, decreed by the President, and approved by a parliamentary vote. 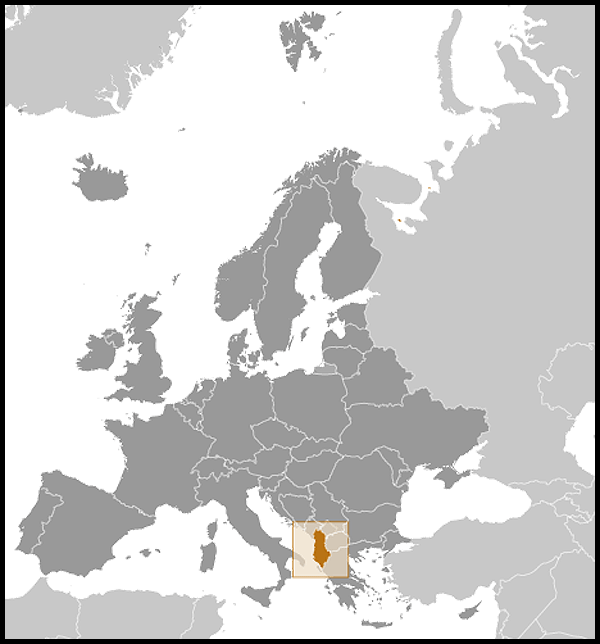 Albania's civil law system is similar to that of other European countries. The court structure consists of a Constitutional Court, a Supreme Court, and multiple appeal and district courts. The Constitutional Court is comprised of nine members appointed by the Assembly for one 9-year term. The Constitutional Court interprets the Constitution, determines the constitutionality of laws, and resolves disagreements between local and federal authorities. The Supreme Court is the highest court of appeal and consists of 11 members appointed by the President with the consent of the Assembly for 9-year terms. The President chairs the High Council of Justice, which is responsible for appointing and dismissing other judges. The High Council of Justice is comprised of 15 members — the President of the Republic, the Chairman of the High Court, the Minister of Justice, three members elected by the Assembly, and nine judges of all levels elected by the National Judicial Conference. The remaining courts are divided into three jurisdictions: criminal, civil, and military. There are no jury trials under the Albanian system of justice. A college of three judges, sometimes referred to as a "jury" by the Albanian press, renders court verdicts. Albania's economy has improved substantially over recent years and has outperformed many other countries in the region. 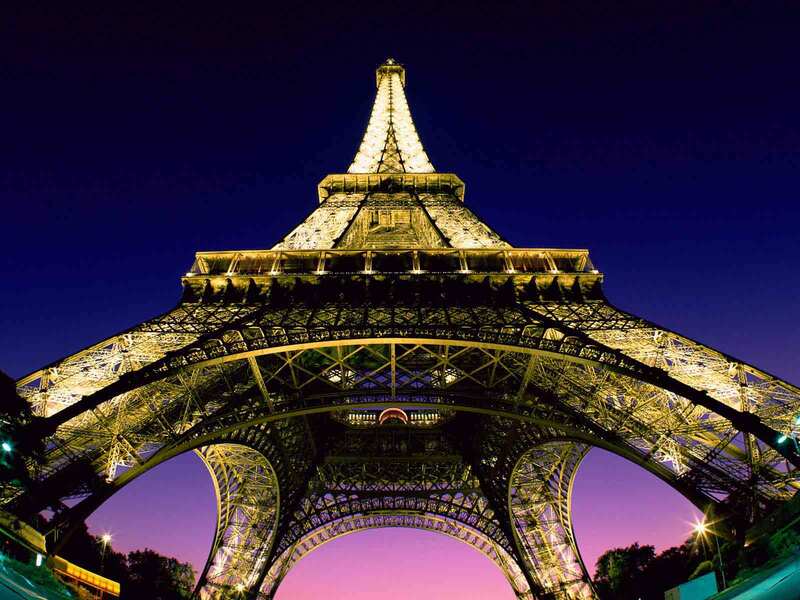 However, it is still considered one of the poorest countries in Europe. According to the Bank of Albania, per capita income was $4,070 in 2009, and was expected to reach $4,200 in 2010. According to preliminary data by the World Bank's Poverty Assessment Program, 12.4% of the population lived below the poverty line in 2008, marking a considerable improvement from 25.4% in 2002; this decline in poverty levels was due mainly to higher per capita GDP. The official unemployment rate is 13.52%, with almost 60% of the workforce employed in the agricultural sector, although the construction and service industries have been expanding recently. Tourism has been boosted significantly by ethnic Albanian tourists from throughout the Balkans. GDP is comprised of services, including trade, hotels, and restaurants (21%), transport (5.5%), and communication (4.5%); agriculture (19%); construction (14%); industry (10%); and remittances (9%). The Albanian economy has been partially sheltered from the global financial crisis and the economic downturn. The International Monetary Fund (IMF) projects growth at 3.4% and 3.6% for 2011 and 2012 respectively. A reduction in remittances from Albanian workers abroad has constrained economic activity, although exports grew in 2010. During the global financial crisis, bank deposits shrank considerably and lower liquidity pushed commercial banks to tighten lending. While current bank deposits have reportedly surpassed pre-crisis levels and bank liquidity has improved, the demand for credit is still low. In December 2009, the growth rate of loans dropped to 10% from 35% in 2008. The low demand for credit continued into 2010, with the growth rate of loans slowing to 9.1% for the first 6 months of 2010. In general, the banking sector remains viable, well capitalized, and able to further finance the economy, as the ratio of loans to deposits, approximately 65%, is still low compared to Western standards. Albania is trying to attract foreign direct investment (FDI) and promote domestic investment. Increasing FDI is a top priority for the Albanian Government, especially in light of the steady decrease of remittances. In 2010, Albania was the only country in the region to see a net increase in FDI, with total foreign investment surpassing $1 billion. The Government of Albania has embarked on an ambitious program to improve the business climate by undertaking fiscal and legislative reforms and by improving infrastructure. The recent investment in energy generation through new transmission lines and the privatization of the electrical distribution arm will partially address the lack of reliable energy supply, which was a major concern for businesses following power shortages during 2005-2007. However, Albania remains predominantly dependent on hydroelectric generation and can only meet its national demand for energy in times of plentiful rainfall. Heavy investments in the country's main road corridors have contributed to improved transportation conditions. The recent completion of the 106 miles (170 km) of highway linking Durres with Kosovo has provided a major transportation corridor connecting markets in the central Balkans through Kosovo to the port of Durres. Similar large-scale infrastructure investments are needed to further improve Albania's road transportation corridors and limited railway system and to expand the capacity of its sea ports and airports. Albania was the last of the central and eastern European countries to embark on democratic and free market reforms, and it started from a disadvantaged position due to Hoxha's catastrophic economic policies. The democratically elected government that assumed office in April 1992 launched an ambitious economic reform program meant to halt economic deterioration and put the country on the path toward a market economy. However, the collapse of the infamous pyramid schemes in 1997 and the instability that followed were a tremendous setback. The country subsequently recovered and is aggressively pursuing its Euro-Atlantic integration agenda. In June 2006, the Albanian Government signed a Stabilization and Association Agreement (SAA) with the European Union, the first step in the EU accession process. In April 2009, Albania became a NATO member country and at the same time submitted its application for EU membership, both considered major milestones in the country's history. Albania's economy has improved markedly over the last decade; reforms in infrastructure development, tax collection, property law, and business administration are progressing. Despite the effects of the recent global financial crisis and economic downturn, the country has outperformed many other countries in the region. During 2006-2009 the average growth rate was 5.5%, while for 2010 the Government of Albania anticipated growth reaching 4.1% (the IMF predicted 2.7%). Albania still ranks as one of the poorest countries in Europe according to major income indicators, although per capita GDP figures do not fully capture remittance income from the extensive network of Albanians abroad and income from the informal market, which the IMF estimates at 30%-40% of GDP. Remittances, a significant catalyst for economic growth in the past, have experienced a decline over the last few years after peaking in 2007. The Bank of Albania estimates that remittances fell by 6% in 2009 compared to 2008, and their share of GDP declined to 9% in 2009. The reduction continued during the first three quarters of 2010, though on a smaller scale. The Albanian banking sector survived the global financial crisis with sufficient liquidity, and the system has recovered from the sharp decline in deposits at the start of the crisis. Fiscal and monetary discipline has kept inflation relatively low, averaging roughly 2.6% per year during 2006-2009. The average inflation rate was expected to reach 3.6% for 2010, still within the Central Bank target of 3 plus or minus 1%. According to official estimates, the unemployment rate as of September 2010 was 13.52%. Albania has put in place a liberal foreign investment regime, and the government is working to better the business climate through fiscal and legislative reforms and infrastructure improvements. FDI has increased significantly over the last few years and in 2009 reached almost $1 billion, up from $262 million in 2005. The Government of Albania has invested almost U.S. $2 billion in the country's main road corridors, and it has pledged to invest at least another billion until 2013. Electricity supply has also improved, while the distribution system has been privatized. Albania continues to be an import-oriented economy and, despite reforms, its export base remains small, narrow, and undiversified. In 2010 imports averaged 39% of GDP and exports 13%, while export volume was approximately one-third the size of imports. Trade volume in 2010 increased by 20%, with imports increasing by 11.4% and exports by 56%. Exports and imports have continued to pick up 2011. As of June 2011, exports rose by 20.3% year-on-year while imports rose by 15.5%. The Stabilization and Association Agreement (SAA) signed with the EU in June 2006 was the first step in Albania's EU accession process, and a related Interim Trade Agreement entered into force the following December. On December 19, 2006, Albania joined other countries in the region and signed the Central European Free Trade Agreement (CEFTA.) Albania also has free trade agreements with Turkey (signed in 2006 and entered into force on May 2008) and the European Free Trade Association (EFTA member states are Iceland, Liechtenstein, Norway, and Switzerland). The EU remains Albania's main trading partner, providing 64.1% of Albania's imports and receiving 70.2% of exports as of September 2010. Trade with Italy and Greece, although steadily declining since 2008, continues to represent the largest share of EU trade, with a combined 40.8% of imports and 56.4% of exports as of September 2010. Other major trading partners include Turkey, China, and Germany. The impact of CEFTA in Albania's trade with member countries has been small. Trade with the United States continues to account for an insignificant part of Albania's trade volume, focusing on a narrow range of goods and products. As of September 2010, total trade volume with the U.S. accounted for 3% of Albania's total trade volume, up from 2.4% in September 2009. Agricultural products, footwear, and textiles are the main exports to the United States, while imports from the U.S. are generally from food (mainly meat), transportation equipment (vehicles), machinery, and computer and electronic equipment. Since the fall of communism in Albania in 1991, the country has played a constructive role in resolving several of the interethnic conflicts in south central Europe, promoting peaceful dispute resolution, and discouraging ethnic Albanian extremists. Albania sheltered many thousands of Kosovar refugees during the 1999 conflict. Albania is part of the international force serving in Bosnia and Herzegovina (EUFOR), and Albanian peacekeepers are part of the International Security Assistance Force (ISAF) in Afghanistan. Albania previously contributed to the international stabilization force in Iraq prior to its mandate expiring in December 2008 and the UN mission in Chad. While in Iraq, Albania was one of only four nations to contribute troops to the combat phase of Operation Enduring Freedom. Albania worked with the international community to restructure its armed forces and strengthen democratic structures, including addressing military reforms, in its pursuit of NATO membership. Over the last few years, Albania has spent approximately $165 million annually on military expenditures, roughly 1.6% of its GDP. With bilateral and multilateral assistance, the Ministry of Defense is transitioning to a smaller, voluntary, professional military, and reducing the vast amounts of excess weaponry and ammunition (over 100,000 tons) that litter the country and pose a significant public hazard and proliferation risk. The Albanian Government has set a goal to complete destruction of the excess munitions by 2013; with U.S. Government assistance over 15,840 tons were destroyed in 2010. The Albanian Government was one of the first two countries to declare itself mine-free at the November 2009 Cartagena Summit, after it completed clearance 1 year ahead of schedule of mined areas of northeast Albania, a legacy of the 1999 Kosovo crisis. Albania and the United States enjoy a military partnership and are signatories to treaties including the 2003 Prevention of Proliferation of Weapons of Mass Destruction and the Promotion of Defense and Military Relations and the 2004 Supplementary Agreement to the Partnership for Peace Status of Forces Agreement, which defined the status of American military troops in Albania, further enabling military cooperation. In May 2003, Albania, Croatia, Macedonia, and the U.S. created the Adriatic Charter, modeled on the Baltic Charter, as a mechanism for promoting regional cooperation to advance each country's NATO candidacy. After Albania and Croatia became NATO members in April 2009, Albania and other members agreed to expand the Charter to include Montenegro and Bosnia and Herzegovina. Within the Charter, Albania acts as a mentor to these new NATO aspirants. In spite of strong EU objections, Albania also signed in May 2003 a bilateral agreement with the United States on non-surrender of persons, based on Article 98 of the statute of International Criminal Court. In 2004, President George W. Bush authorized the use of the Nunn-Lugar Cooperative Threat Reduction program funds for projects in Albania, marking the first time such funds were used outside the former Soviet Union. With this funding the United States has assisted the Government of Albania with the destruction of a stockpile of chemical agents left over from the communist regime. Under this program, Albania became the first nation in the world to complete destruction of declared chemical weapons holdings under the Chemical Weapons Convention in July 2007. Albania is currently pursuing a path of greater Euro-Atlantic integration. Its primary long-term goals are to gain EU membership and to promote closer bilateral ties with its neighbors and with the United States. Albania is a member of a number of international organizations, as well as multiple regional organizations and initiatives, including NATO, the Organization for Security and Cooperation in Europe (OSCE), the UN, the Stability Pact, the Adriatic Charter, and the World Trade Organization (WTO). In June 2006, Albania and the EU signed a Stabilization and Association Agreement (SAA), the first step to EU membership, which focuses on implementing essential rule of law reforms and curbing corruption and organized crime. Albania filed its application for EU candidacy on April 28, 2009 but has not yet been granted candidate status. In November 2010, the European Commission issued a negative opinion of Albania's EU accession efforts, listing conditions still to be met by Albania — first of which is a demonstration of political will to enact needed reform. Albania maintains good relations with its neighbors. It re-established diplomatic relations with the Federal Republic of Yugoslavia following the ousting of Slobodan Milosevic in 2000, and maintains excellent relations with Montenegro, which gained its independence after the dissolution of the Serbia and Montenegro union in 2006. Albanian, Macedonian, and Italian law enforcement agencies are cooperating with increasing efficiency to crack down on the trafficking of arms, drugs, contraband, and human beings across their borders. Albania has also arrested and prosecuted several ethnic Albanian extremists on charges of inciting interethnic hatred in Macedonia and Kosovo. Tensions occasionally arise with Greece over the treatment of the Greek minority in Albania or the Albanian community in Greece, but overall relations are good. Albania enjoys friendly and cooperative bilateral relations with the United States. Pro-U.S. sentiment is widespread among the population. Even while the United States, which had closed its mission to Albania in 1946, was being vilified by communist propaganda during the Hoxha regime, ordinary Albanians remembered that Woodrow Wilson had supported Albanian independence in 1919. Albanians credit the NATO intervention in Kosovo in 1999 with saving thousands of Kosovo Albanians, and they greatly appreciate the U.S. Government's continued support for a stable, free, and democratic Kosovo. In 2003, Albania and the United States signed and ratified a number of agreements, including a treaty on the Prevention of Proliferation of Weapons of Mass Destruction and the Promotion of Defense and Military Relations; the Adriatic Charter; and an agreement regarding the non-surrender of persons to the International Criminal Court. The United States strongly supports Albania's EU membership goal, as it did Albania's pursuit of NATO membership. Working toward NATO membership, the United States and Albania signed a Supplementary Agreement to the Partnership for Peace Status of Forces Agreement, an important step in strengthening bilateral cooperation and enhancing security, peace, and stability in the region. Since FY 1991, the U.S. has provided Albania with more than $684 million in assistance, not including U.S. Department of Agriculture (USDA) food aid. The aid has served to facilitate Albania's transition from the most isolated and repressive communist state in Europe to a modern democracy with a market-oriented economy, and to support long-term development. In 2010, the U.S. implemented $22 million in programming to Albania under the Assistance for Eastern Europe and Central Asia account. In addition, $6.6 million of programming was implemented to assist in the professionalization of Albania's armed forces, decommissioning of excess munitions, and strengthening of border security. Albania was among the first countries to participate in the Millennium Challenge Account Threshold Programs, successfully completing both a $13.85 million program (2008) and a $15.731 million program (2011) to strengthen the rule of law, reduce corruption, and increase public oversight in Albania. Despite daunting problems at home, Albania has wholeheartedly supported U.S. anti-terrorism efforts by freezing terrorist assets, shutting down non-governmental organizations (NGOs) with possible links to terrorist financing, expelling extremists, and providing hundreds of military troops for the U.S.-led actions in Afghanistan and Iraq. Albania has played a moderating role in the region and has fully supported UN mediation efforts in Kosovo. The U.S. Embassy (http://tirana.usembassy.gov/) is located at 103 Tirana Rruga Elbasanit, Tirana; telephone:  (4) 224-7285; facsimile:  (4) 223-2222.